Advanced Batteries & Energy Storage Research provides you with a free daily update of the latest industry developments. Launched in August 2018, this free portal covers progress of advanced batteries and energy storage in all its forms. Advanced Batteries & Energy Storage Research is hosted and written by IDTechEx, the leading analyst and event organiser on energy storage and related technologies. Articles provide commentary, analysis and give a balanced view of the subject. You can opt-in for an email to be sent to you every week listing the new articles posted in the previous week. We aim to make this service your most valuable tool for keeping up to date with the energy storage industry. We seek your input - company progress, press releases, case studies and developments, which in turn we will feature as future articles. 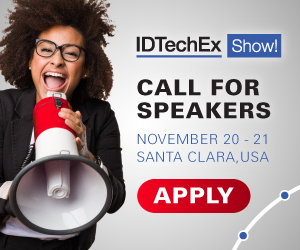 Please forward these to us - email Tessa Henderson on tessa@IDTechEx.com. For more information please browse the website www.IDTechEx.com or contact Tessa Henderson on tessa@IDTechEx.com.